During the Gothic period, ornate architecture came into being, complete with vaulted ceilings and flying buttresses, all of which also served a functional purpose. Like this architecture, the Gothic Arms combine function and beauty. 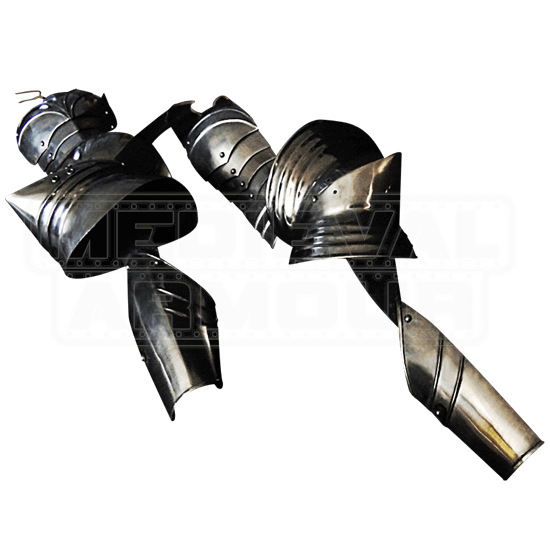 This fully functional steel plate armor is based on that worn by soldiers in the 1400s and comes complete with pauldrons, rerebraces, large and pointed couters, and sleek vambraces. Adjustable straps allow for the armor to fit arms of all sizes, and the articulated nature of the Gothic Arms lends itself to a wide range of motion. 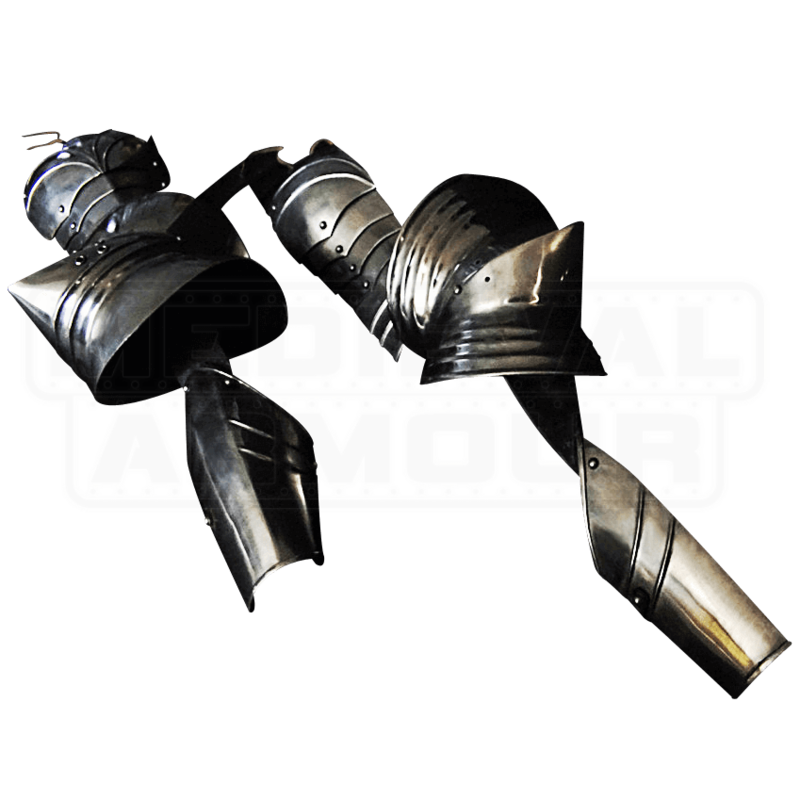 The pauldrons can be attached to chainmail, gambesons, plate or padded armor, or gorgets, which makes them a very versatile addition to an armory. The Gothic Arms are perfect for reenactments, and they also look fantastic with a medieval ensemble.